Gilles is joined for Words and Music with LA saxophonist, composer and arranger Kamasi Washington. Plus a 30-minute Womad mix ahead of Cerys's show live from the festival. 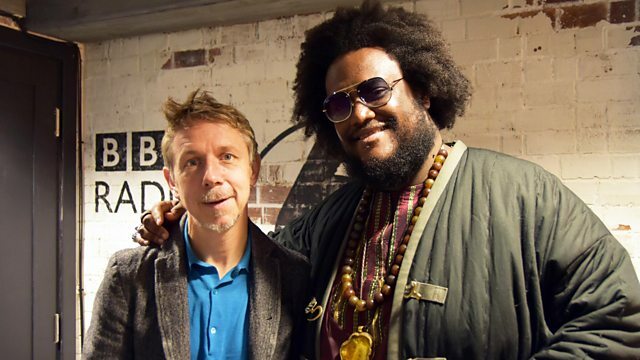 Gilles is joined by LA Saxophonist, composer and arranger Kamasi Washington for an in depth Words and Music. They discuss some of his music mentors growing up in LA, singing to Young Turks and his brand new LP 'Heaven and Earth'. Plus in the final 30 minutes, Gilles celebrates the Womad festival with a special mix. He plays tracks from some of his favourite performers ahead of Cerys Matthews's Live show from the festival.